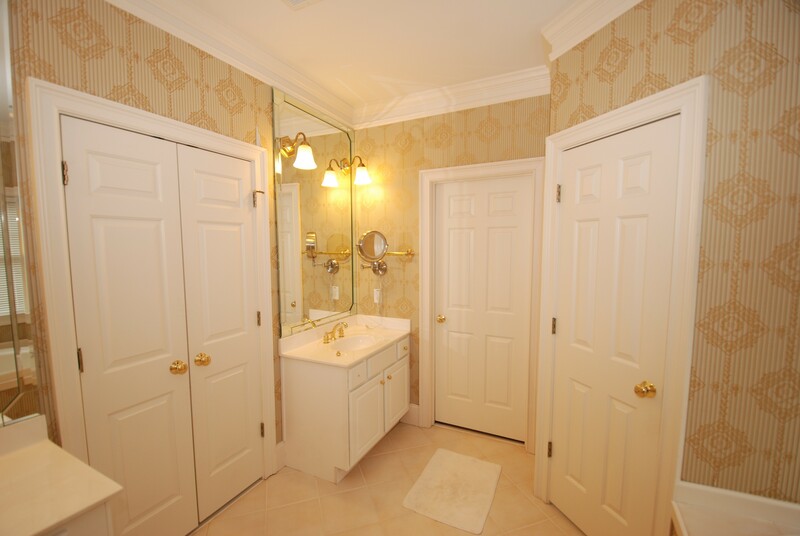 White marble and subway tile are materials that are generally found in traditionally styled bathrooms. 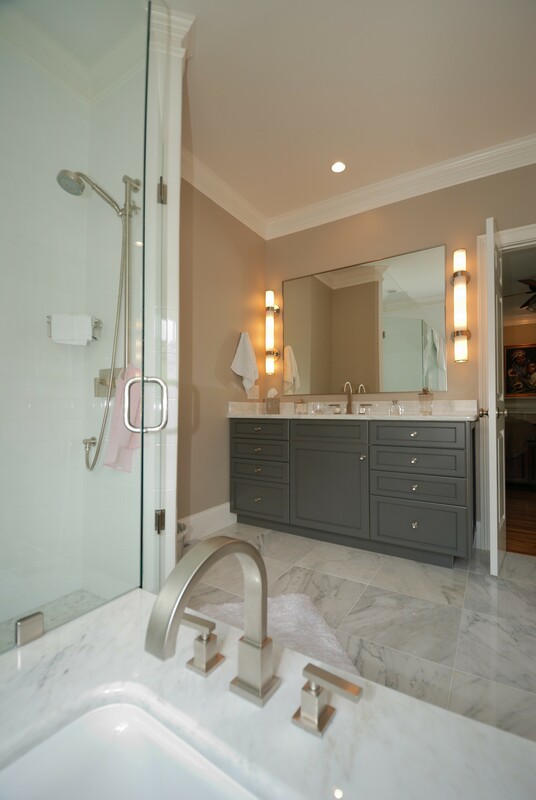 These materials were combined with contemporary light and plumbing fixtures and cabinetry that is in between or transitional. All the elements come together to create a cohesive design that is aesthetically pleasing and soothing to be in. 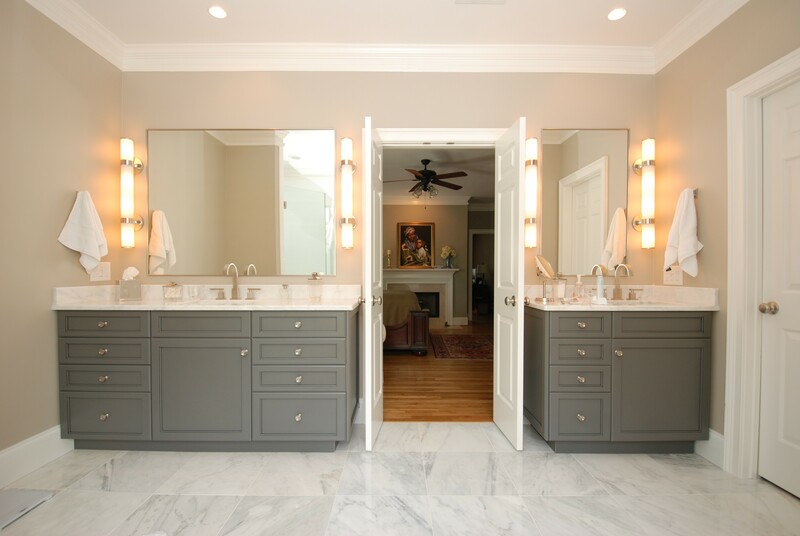 The completed bathroom with marble floors and counter tops. With the limited space we used custom cabinetry to optimize the available storage. For the top of the tub deck we matched the tile to a piece of marble and had it cut so the tub could be under mounted. 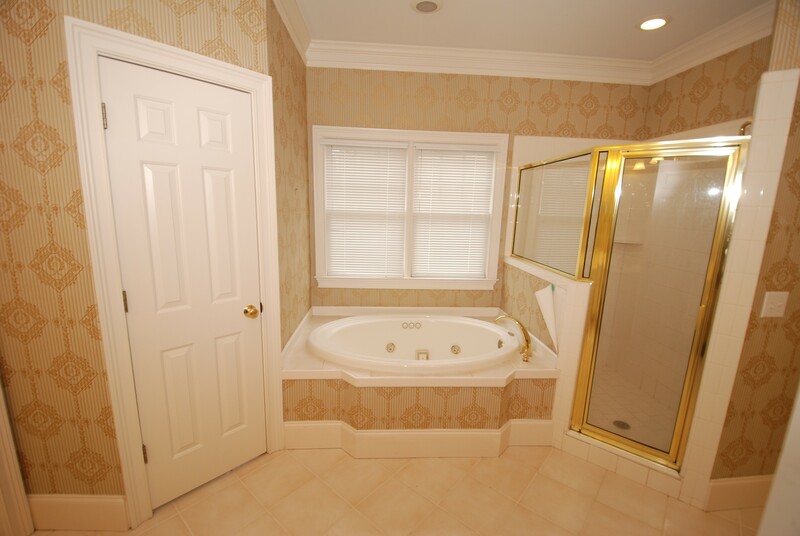 The result is a seamless transition from the floor to the tub deck and a clean look. The bathroom faucets had a unique shape that brought a contemporary edge to the otherwise traditional finishes. 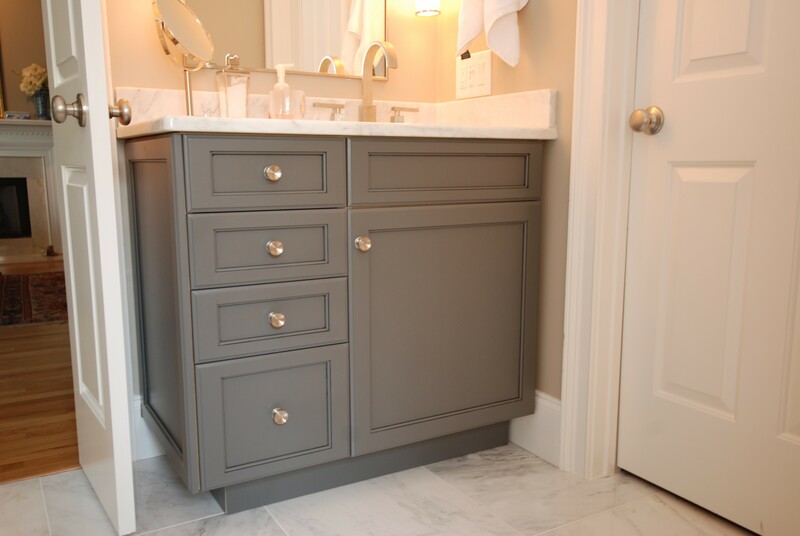 Changing the configuration of the smaller vanity we were able to add two additional drawers and give the homeowner more than double the original storage space of the old vanity. 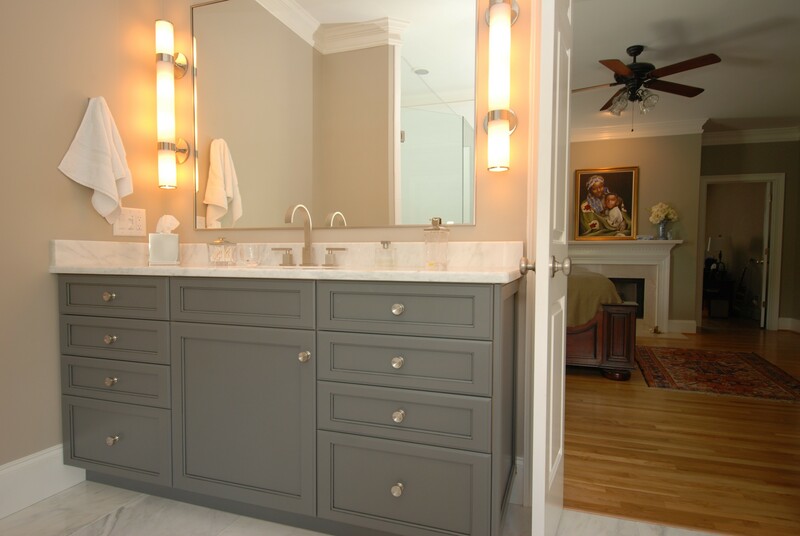 Since we used custom cabinetry, the color could be matched to the stone work in the bathroom. The entire spectrum of colors were available instead of just a few options from a production cabinet company. 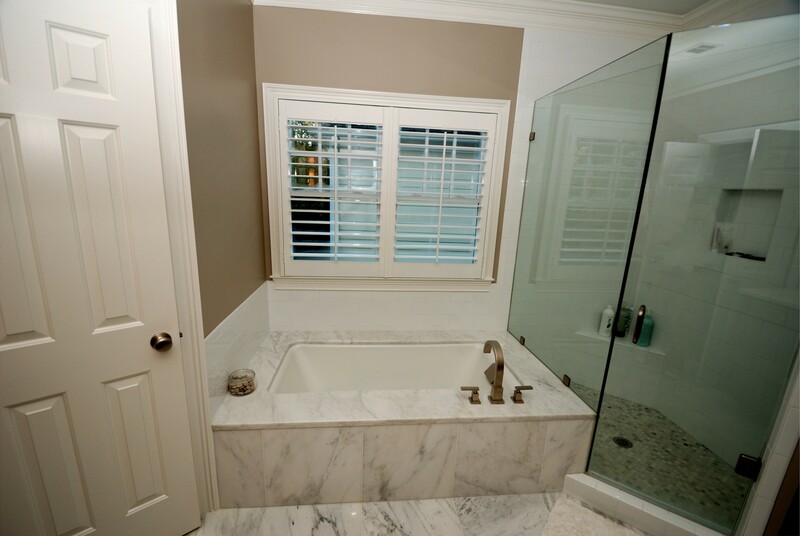 In the original bathroom the partition wall between the shower and tub makes the space feel closed off. Another view of the original bathroom.